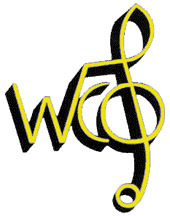 The Wellington Chamber Orchestra, conducted by Michael Joel, presents a mid-winter concert. The iconic Overture: Aotearoa by Douglas Lilburn will feature along with Luminous by John Psathas, a commission from the Auckland Philharmonia Orchestra as part of their "Fanfares for a New Millennium":http://sounz.org.nz/manifestations/show/7382 project. Vaughan Williams' London Symphony and Beethoven's Piano Concerto No. 4 (Catherine McKay, soloist) will round out the programme.